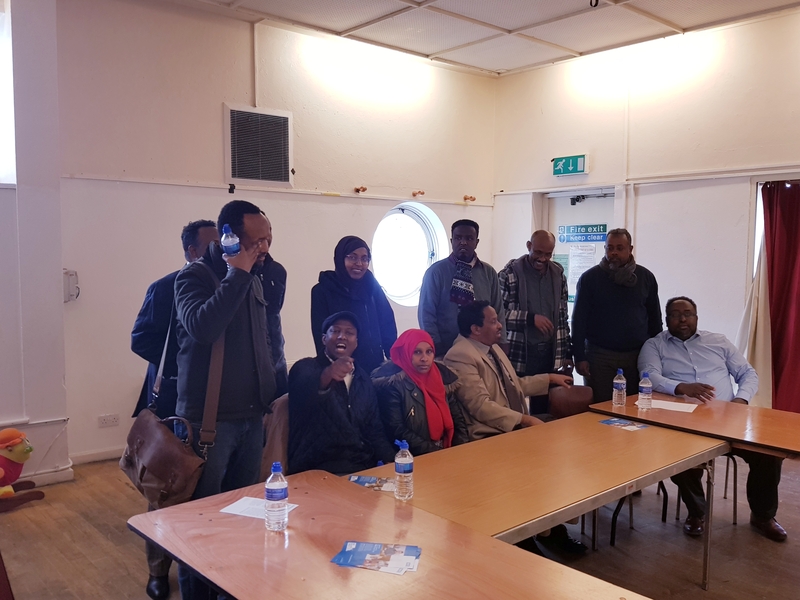 Abdi Mohamed (BSMG – 07 Mar 2018) – In the light of the recent ill-advised female genital mutilation (FGM) prosecution in Bristol, which has collapsed because of ‘evidence inconsistencies’, the Somali Community came together to discuss about the impact it has on the community and how to manage its consequences. But also how to rise to the challenges and opportunities it has presented. In a meeting held at Easton Community Centre yesterday, Somali parents and guardians talked about their understanding about FGM and the reasons for supporting its eradication. They reaffirmed their rejection of this barbaric practice because it is not in line with the Islamic religion and it is against the law. On the other hand, they denounced the aggressive and oppressive behaviour of campaigners and professionals, who indiscriminately treat every parent with a young female child – and the whole community – as a criminal. The bullying attitudes were confirmed by others who shared the group with incidents where mothers had been visited by social workers and police officers and threatened with FGM Protection Order unless they sign the form, which understandably is being only used in Bristol – not to mention the number of families stopped at airports and questioned or had their passports confiscated. Anecdotal evidence show that the number of court orders have increased, and it has been estimated that more than 300 forms have been signed within the least eighteen months. The FGM measures aimed to protect children are doing more harm than good at the present time, nevertheless. The problems have been exacerbated by misconceptions and misinformation about the community, coupled with the believe that (the so called) FGM effected communities “do not want to change” and they “understand they have to adjust their practices to evade law enforcement.” These misperceptions have created mistrust between communities and professionals, and have certainly damaged relationships. As a result, Bristol’s approach and commitment to eradicate FGM have been questioned and purportedly deemed to be putting the target communities in place. These harrowing stories of bullying and harassment have made participants of the meeting realise the urgency to raise issues of concern with relevant authorities. The elephant in the room cannot be ignored any longer and the other side of the story, the true and positive side of the community in relation to FGM, should be heard. Therefore a committee of eleven, seven women and four men, was formed. Amongst the main objectives of the committee include creating opportunities for the community (mainly fathers and mothers) to participate the FGM campaign alongside (young) campaigners, and to promote the rights of parents and families; tackling misconceptions and engaging the local Somali community through education and awareness; and developing links with authorities including the police and the Home Office FGM Unit. More importantly, the FGM Committee aims to give a voice to the voiceless children whose rights have not been respected and protected. The random examination of young females without evidence is not only a grave concern but gross human rights violations too. A point in case is the recently collapsed case where private parts of three young girls had been examined because of baseless allegations. Currently, the situation is, as the Somali proverb goes, “Ceelna uma qodna, cidina uma maqna [No wells dug for them, no rescuers on the way]” – in other words, if you don’t help vulnerable people in the community, no one else will. And the FGM Committee was formed to help and promote the rights of Somali young girls and their families. Next ‘The law is just and fair but those who deliver services are not fair’ – Bristol FGM model? Your message will be passed to relevant persons and they’ll get back to you. So could you email your contact details – info@smgbristol.com. Thanks.